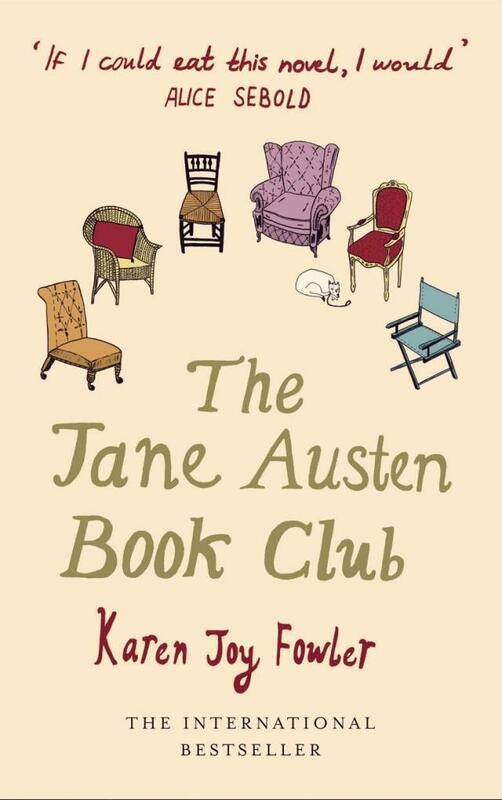 The Jane Austen Book Club was the very first read for the book club a friend of mine set up, and I'm glad it was; I've owned my copy for a while now after finding it on a secondhand book stall, and I was glad to finally get the kick up the arse I needed to read it. Before I say anything I think it's worth mentioning that I'm not the biggest fan of Austen. HOWEVER, I didn't let that affect how I felt about this book. As you can probably tell from my rating I wasn't the biggest fan of this one, and to be honest that was mainly because, more than anything, it frustrated me. While I was reading it I was enjoying it; it's a very easy read, it didn't take me a long time to finish at all, and I did find myself wanting to get to the end. But I had a lot of problems with it, too, one of them being that I initially found it very difficult to tell the six main characters apart, which is bizarre given how different they are and how none of them have names that sound even remotely similar. I kept having to check the blurb to figure out which character was which, and that's not something I want to be doing when I'm trying to become engrossed in a story. My biggest problem with the book, however, was that it was told, and never really shown. 'Show, don't tell' is one of the earliest lessons hammered into a writer's brain, but evidently Karen Joy Fowler was absent from school that day. Because of this constant telling - by a narrator, a seventh character, who is never revealed but who I assumed was Austen herself - there was also a constant distance between myself and the characters. I didn't feel particularly close to any of them, not even when they were revealing some of their deepest, darkest secrets. I didn't completely hate the story, though. Parts of it were charming, and there were times when the narration was quite funny, but for the most part I was rather disappointed in it because I felt as though the story had so much potential. If it had just been fleshed out a little more, if the characters had been treated more importantly than the narration, then I think I'd be giving this book a much higher rating. The only real positive is that I wasn't really expecting much from it in the first place, if I were a huge Austen fan I have a feeling my rating would be even lower. An Interview with Sam Roads and Kat Nicholson! Bout of Books 13 | Bookish Survey Challenge! Food from History | Bookies Become Foodies Week! Speculative Fiction for Austen Fans!